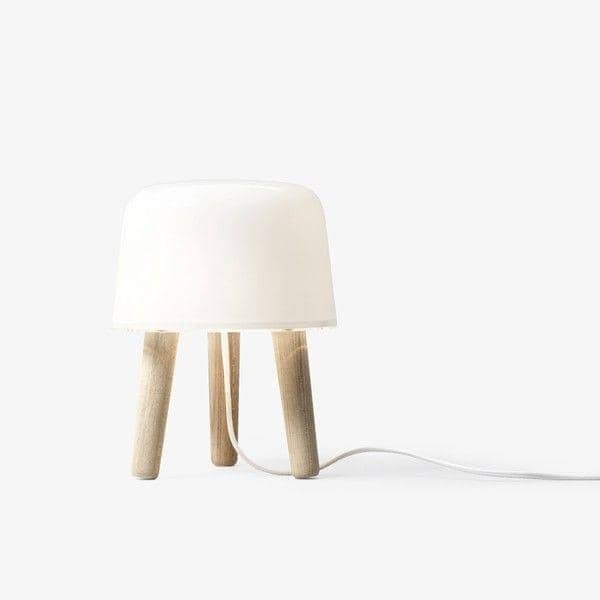 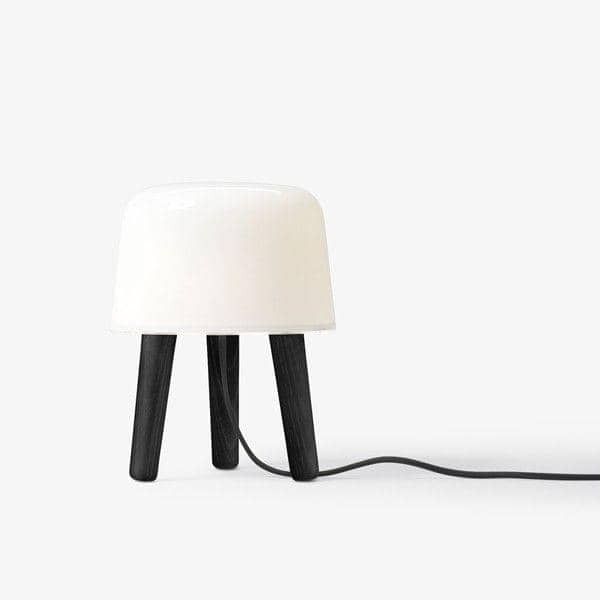 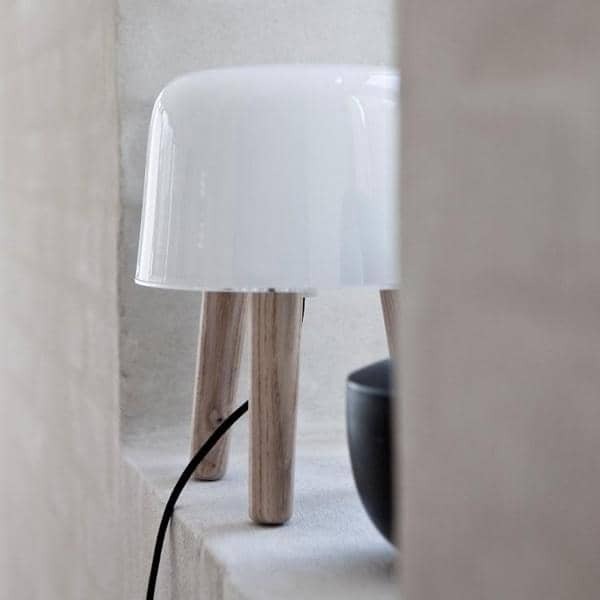 With MILK lamp, NORM.ARCHITECTS has designed a lamp that emits a light of an exceptional softness. 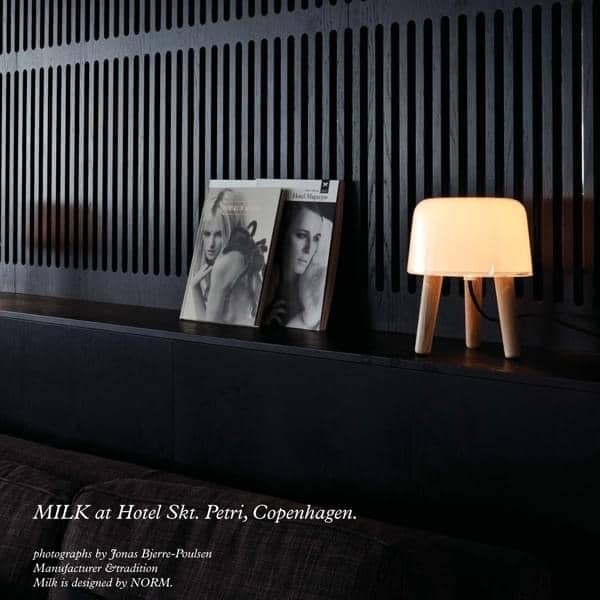 MILK finds its place in any room of your interior, and, thus, creates a relaxing and warm atmosphere. 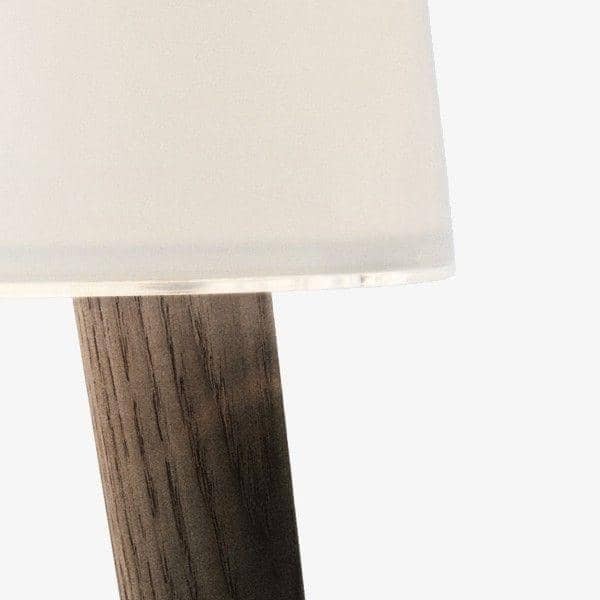 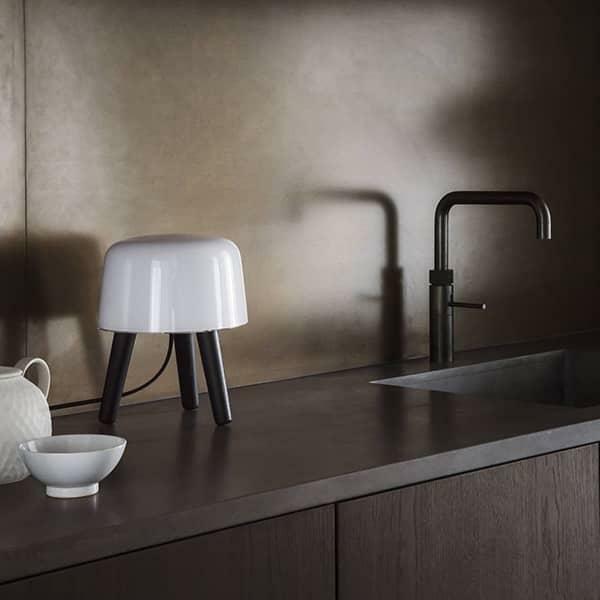 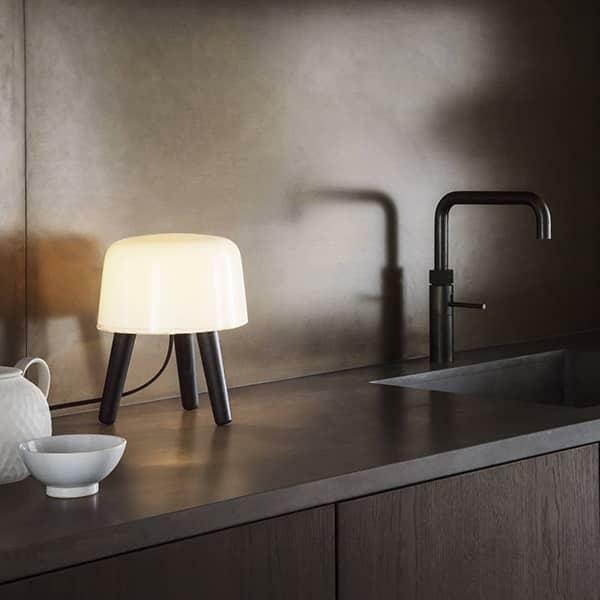 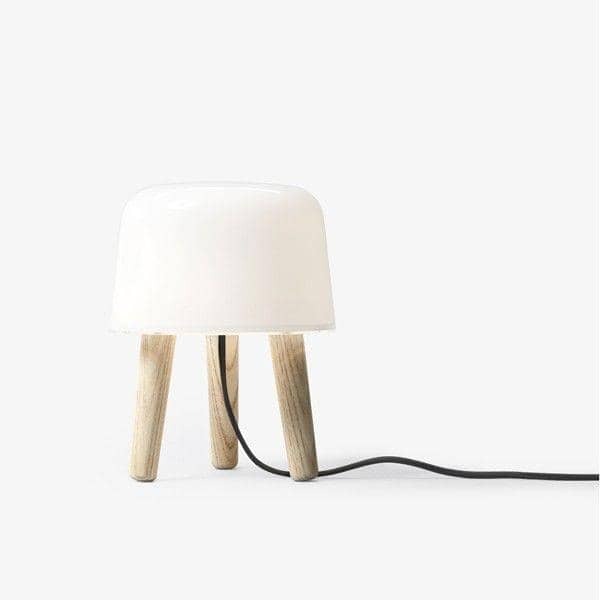 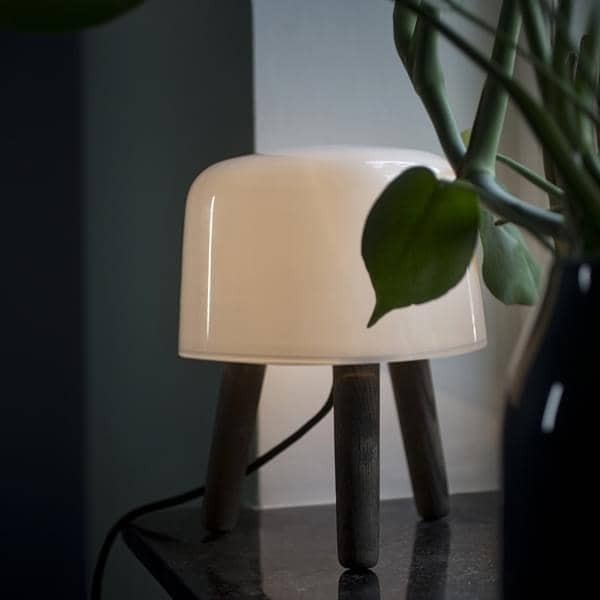 Presented in a wide range of decorating magazines in recent years, the MILK lamp, made of wood and glass, uses his charm: MILK has become an icon. 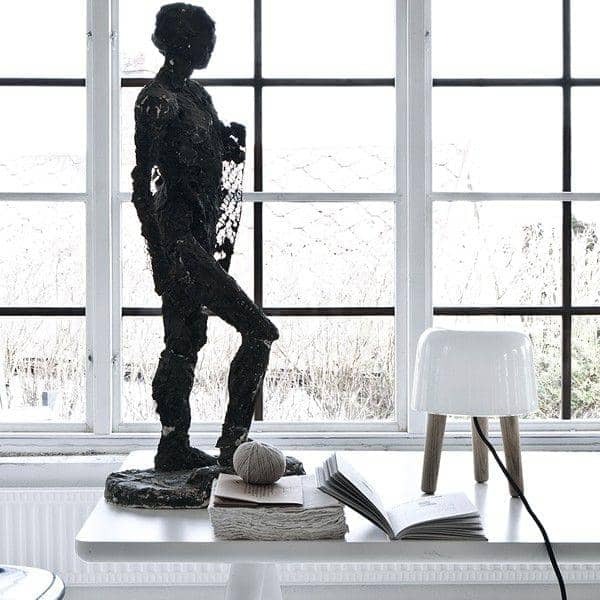 Title : Comment from Alain T.
Blown opal glass, solid wood, 2 meter fabric cord with dimmer (the glass is mouth-blown from thin borosilicate glass). 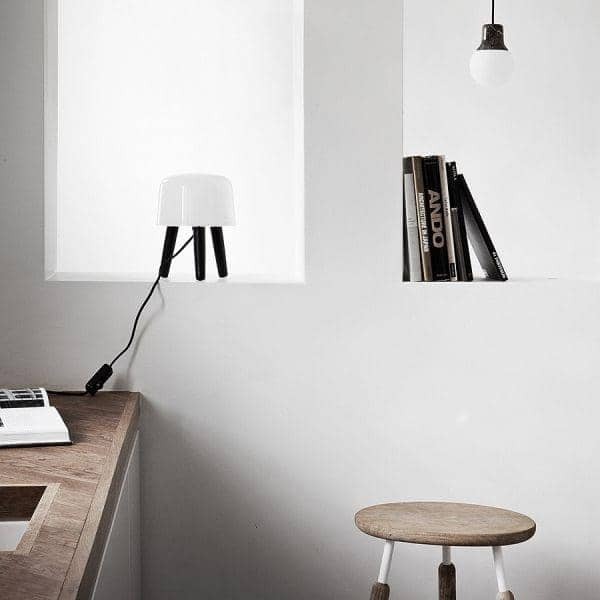 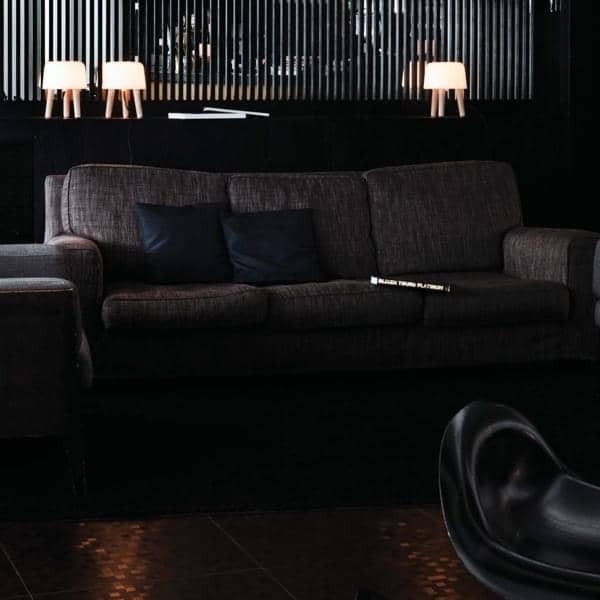 The luminaire is compatible with bulbs of the energy classes: B - E.
BELLEVUE collection (wall lamp, desk lamp and floor lamp) created by Arne Jacobsen in 1929. Timeless design.